I was a community organizer for nineteen years prior to becoming a high school teacher, so obviously have a strong interest in how organizing can related to schools. 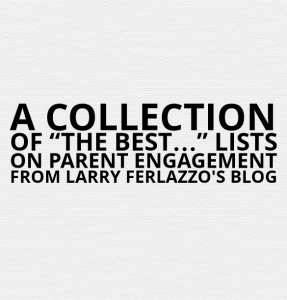 You can also see all my parent engagement-related “The Best” lists here. What Can Community Organizing Teach Us about Parent Engagement? Five Simple Ways to Rethink the Bake Sale is a long title for a useful short article from the Annenberg Institute For School Reform. Check-out How a neighborhood organization is bringing parents and schools together so the whole community benefits. Schools can learn from program that puts parents in classrooms is the headline of a Chicago Tribute article on a unique parent engagement program sponsored by the Logan Square Neighborhood Association, and on a new book about it. Community Organizing for Stronger Schools:Strategies and Successes by Kavitha Mediratta, Seema Shah, and Sara McAlister has just been published. One of the chapters in my parent engagement book focuses on community organizing in Texas and quotes from the research the authors had done previously. You can read the introduction to the book at the link, too. “The California Educator,” published by the California Teachers Association, has an article about The Algebra Project and how it’s being used to engage parents in Sacramento.The Algebra Project was begun nationally by civil rights pioneer Robert Moses.The article highlights how it was begun in partnership with a local community organizing group, the Sacramento Valley Organizing Community (SVOC). I was SVOC’s first Lead Organizer eighteen years ago. Last week I posted about a new research article titled “Beyond the Bake Sale: A Community-Based Relational Approach to Parent Engagement in Schools.” You can read more about it on that post, but, at the time, the article was only available if you paid for it. Now, however, you can read it for free. Community organizing is one of the four parent engagement strategies we outline in our book. 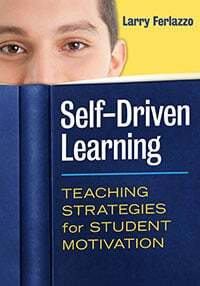 A recent study by the Annenberg Institute for School Reform highlights its benefits for students, families,and schools. You can read more about the study here. You can also view a presentation about it here. One of the chapters in our book highlights the work of the Industrial Areas Foundation in developing Alliance Schools in Texas. The IAF, as far as I can tell, were the first to begin talking about the difference between parent involvement and engagement almost twenty years ago. If you’re interested in learning more about them, you can access a draft version of a paper describing theAlliance Schools and its philosophy here. The Industrial Areas Foundation began making the distinction between parent “involvement” and parent “engagement” during its community organizing efforts in schools during the 1990′s, and Professor Dennis Shirley wrote about it in his 1997 book Community Organizing For Urban School Reform. Even though a chapter in our book focuses on the IAF’s work (I was an IAF organizer for the majority of my nineteen year organizing career), I’d encourage people to read Professor Shirley’s book. After he published that book, he wrote another in-depth study on the work of just one IAF organization in Texas — Valley Interfaith And School Reform: Organizing for Power in South Texas . If you go to that link, you can see the table of contents and read the introduction. I’d encourage you to do so. Bruno Manno’s “Straw Mom” Argument is the rather odd headline of a good article on parent engagement and community organizing. It’s from the Annenberg Institute on School Reform. “A Match On Dry Grass” is the title of a book and conference on community organizing and schools.You can see read descriptions of the different sites and methods discussed in the book here, as well as learning more about the conference. Getting Started in Education Organizing: Resources and Strategies is a report published by Annenberg Institute for School Reform. Why I Work With Parents, Not in the Classroom, to Reform Our Schools provides an interesting take on community organizing, parents and schools (unfortunately, there’s no commentary in it on how to work as allies with teachers). Unlike the Bloomberg administration, organizers work from the belief that the people who are directly affected by a problem are the best qualified to identify its solution. Every day, I work with smart, savvy parents who have taught me more about the root causes of inequality in New York City public school system than I could have ever learned in the classroom. Working alongside parents has also helped me develop an understanding of “choice” that is much more complex than reformers (and their opponents) would have you believe. LA groups model of community engagement is a good article from Ed Source about two groups in Los Angeles who appear to be doing some good parent engagement (and student engagement) organizing. I’m embarrassed to say I hadn’t heard of either of them before. What sets InnerCity Struggle and Community Coalition, a similar organization in South Los Angeles, apart is that they organize both parents and youth and focus on ongoing education issues, said Peter Rivera, senior education program officer for the California Community Foundation in Los Angeles. Unlike other groups that push for change, the two organizations have “street credibility that has been developed and cultivated over time,” said Steve Zimmer, an L.A. Unified school board member.